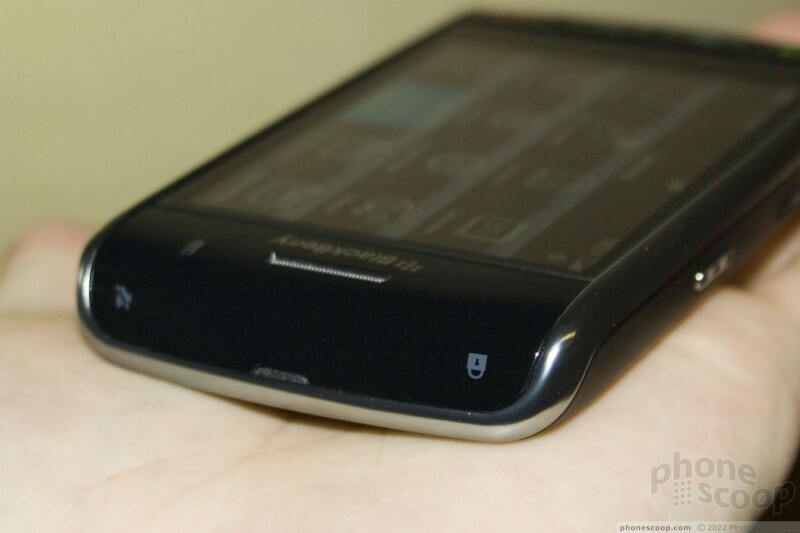 Our hands-on report of the just-announced BlackBerry Storm touch-screen phone for Verizon. Our first impressions with plenty of photos. 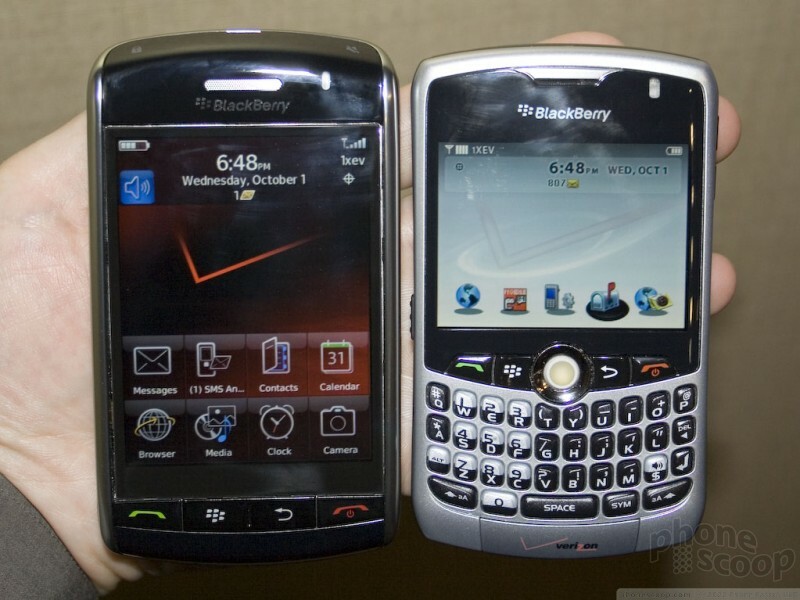 Research In Motion (RIM) and Verizon Wireless are preparing to launch the new flagship BlackBerry - the Storm 9530 - in time for the holidays. The Storm joins an increasingly large group of phones with large touch screens and new interfaces designed specifically to be manipulated with your finger, like the iPhone. I recently spent time with a pre-production Storm 9530. I came away very impressed. Read on to see what surprises the Storm has in store. The Storm isn't excessively large, thick, or heavy. It's not going to impress in these departments, but it's reasonably pocket-friendly. If it's a half-ounce heavier than I would like, the upside is that this weight adds to a feeling of solid construction. Indeed, the overall build quality feels excellent. 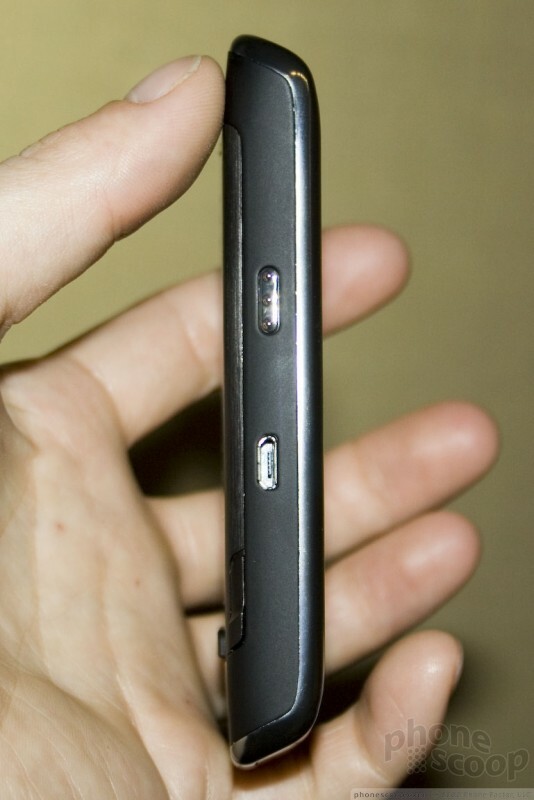 The rear battery cover plate is made of metal, which also helps. 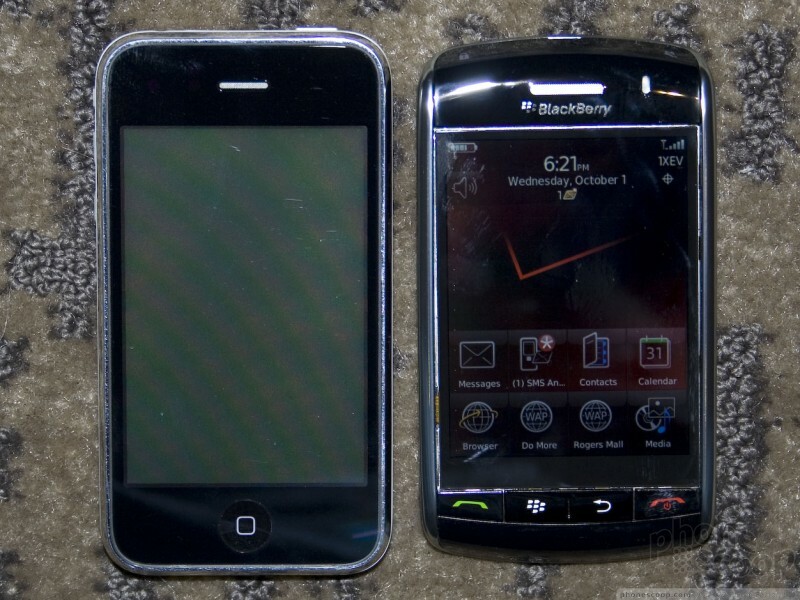 In terms of size, it's shorter than the iPhone. 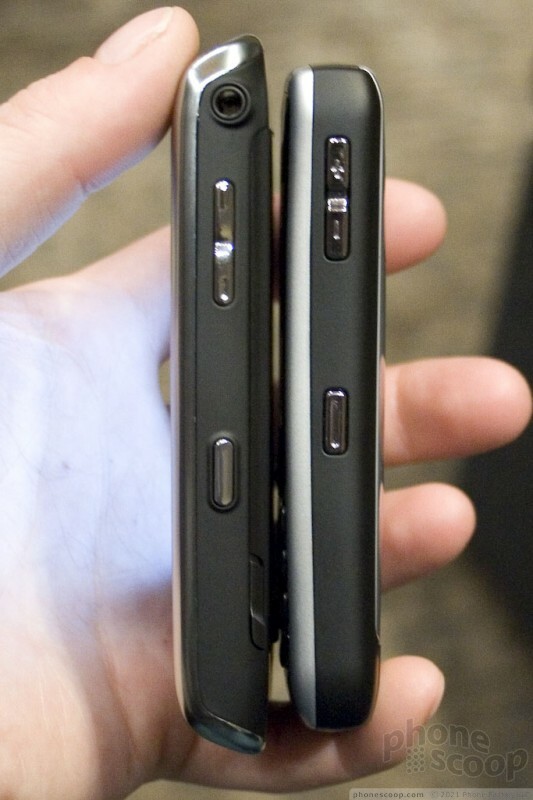 It's slightly larger than a Curve, although tapered edges help it feel smaller in the hand. The display is huge and very high-resolution. At 480 x 360 pixels, it has 12% more pixels than the iPhone, and those pixels are more dense, making details exceptionally clear and crisp. The Storm bucks the wide-screen trend with an old-school 4:3 aspect ratio. The big news about the display is the touch technology. 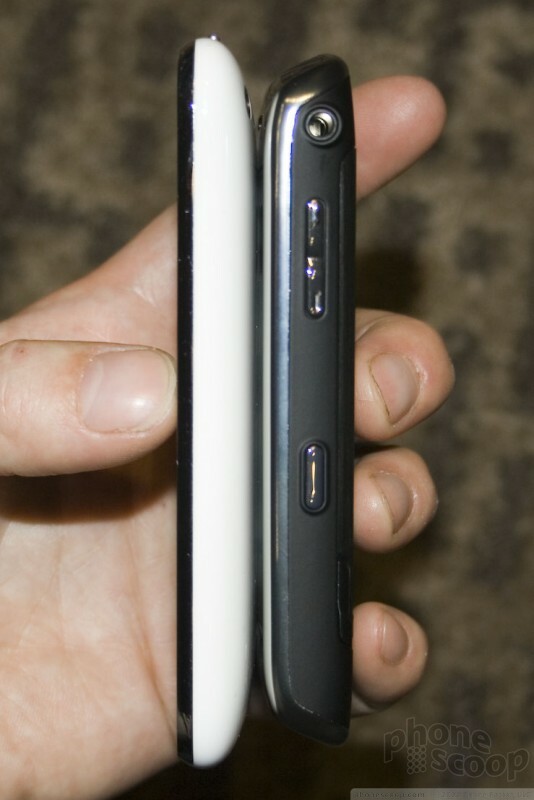 First, it's capacitive, like the iPhone and the HTC G1. This alone is great news, but the real innovation is the true tactile feedback. The whole screen is essentially one giant physical button that you can press down for a gratifyingly real "click" action. There are no haptics or funny tricks here; just good ol' tactile feedback, and it works very well. 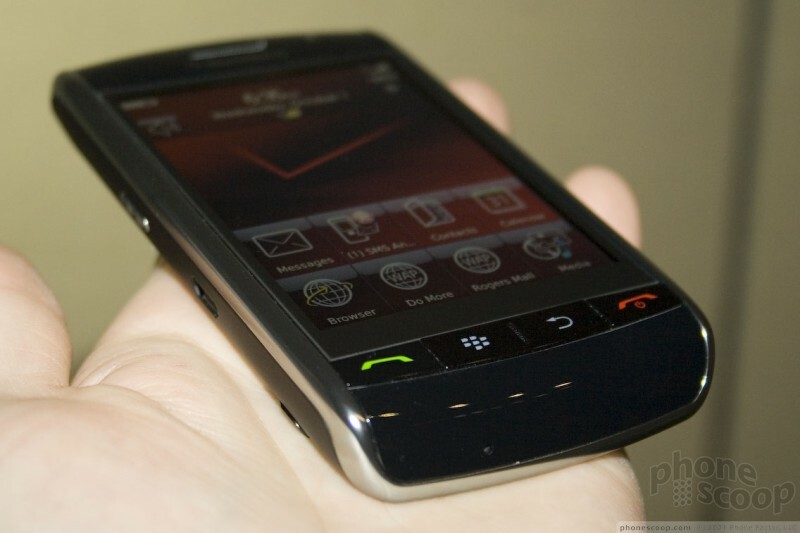 As you would expect, the click action lends a great deal to the experience of pressing virtual buttons and text entry. However, it also enables a whole new dimension (literally) in touch interaction. Capacitive touch technology requires no pressure; it responds to the very lightest touch. This means the Storm has two distinct ways to press the screen. A light touch is just a "touch", while a more forceful press results in a "click". This makes the Storm the first phone we know of with what could be considered a "3D" touch screen. 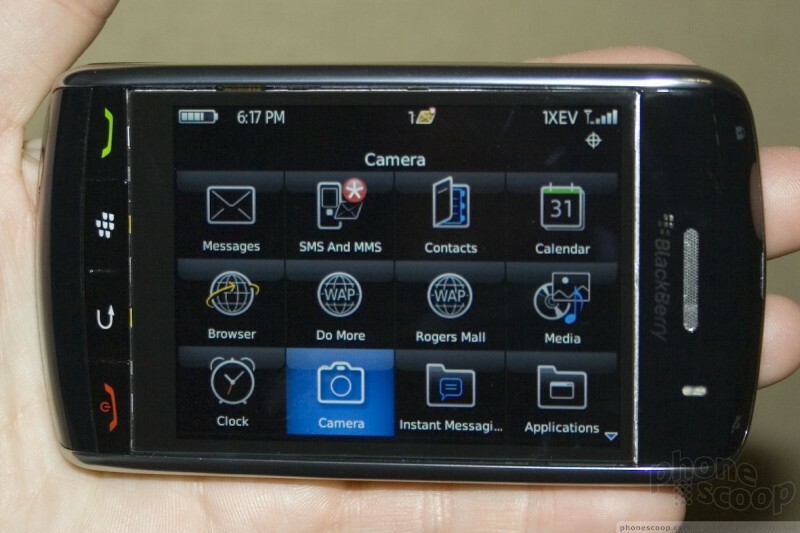 RIM has implemented a few clever uses for this in the BlackBerry interface. For example, the browser has a "cursor mode" that simulates a desktop browsing experience. Touching the screen moves a visible pointer around the web page just like using a mouse, while clicking (of course) clicks. Browsing email lists, a click will open that email, but a touch-and-hold will search for all emails with the same subject or sender. The QWERTY keyboard also has a touch-and-hold shortcut for accessing accented versions of letters, which is very useful for non-English languages. Moving on to the rest of the hardware... there's an accelerometer, of course. Rotating 90 degrees in either direction flips the whole interface; it's quick, works on most parts of the interface, and works equally well for lefties. 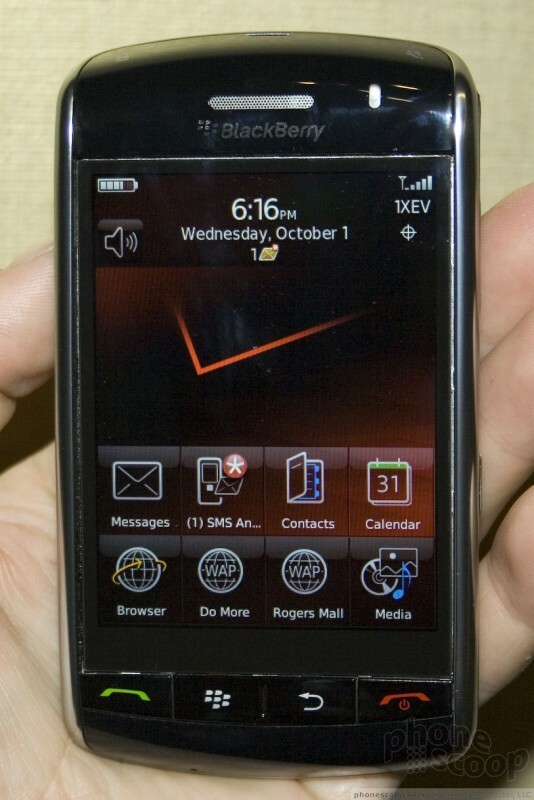 The front has four physical buttons: Menu (BlackBerry), Back, Send and End. They are all easy to find and work well. The top sports two semi-hidden physical buttons: mute and lock. The top buttons are completely smooth with the rest of the plastic at the top, but their placement at the corners keeps them easy to find and use. There's also the usual assortment of side keys, all of which work well. You'll also find a standard micro-USB connector (which supports charging) and a standard 3.5mm headphone jack for use with a headset or your favorite music headphones. Stereo Bluetooth is also supported. 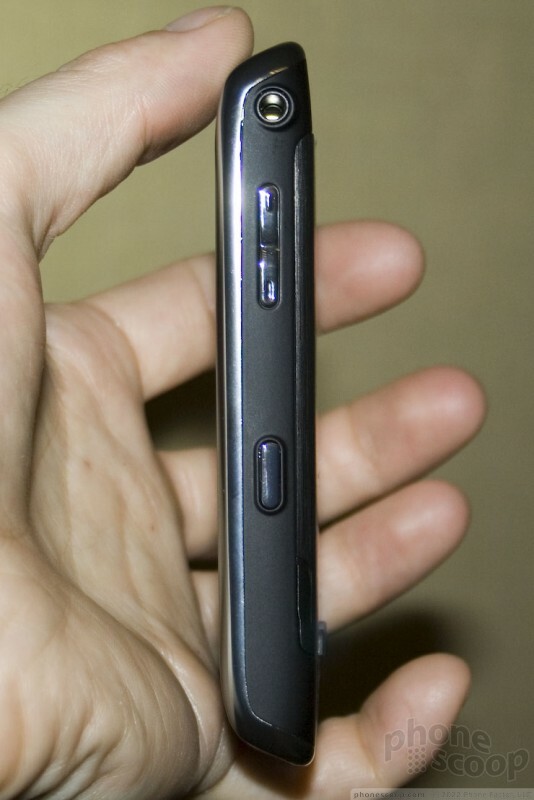 On the subject of sound, and moving to the back of the phone, there's a secondary microphone on the back which provides active noise cancellation. The speakerphone is also on the back. It's surrounded by two protruding rubber bumpers. These really stick out quite a bit and make the Storm harder to slip in and out of pockets, but they do their job of keeping the speakerphone loud and clear when the Storm is sitting flat on a desk. The speaker is quite loud and clear in all situations. 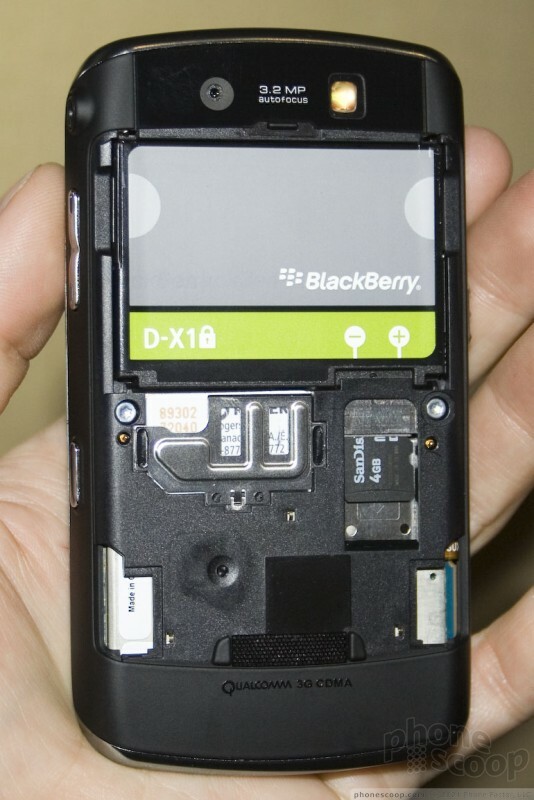 The microSD memory card slot is located under the battery cover, but it's easily accessible without removing the battery. The Storm comes with 1 GB of built-in memory plus another 8GB on the included memory card. Cards up to 16 GB are officially supported, and it should handle 32 GB cards in theory. Metal battery covers will be available in several colors, allowing some degree of customization. 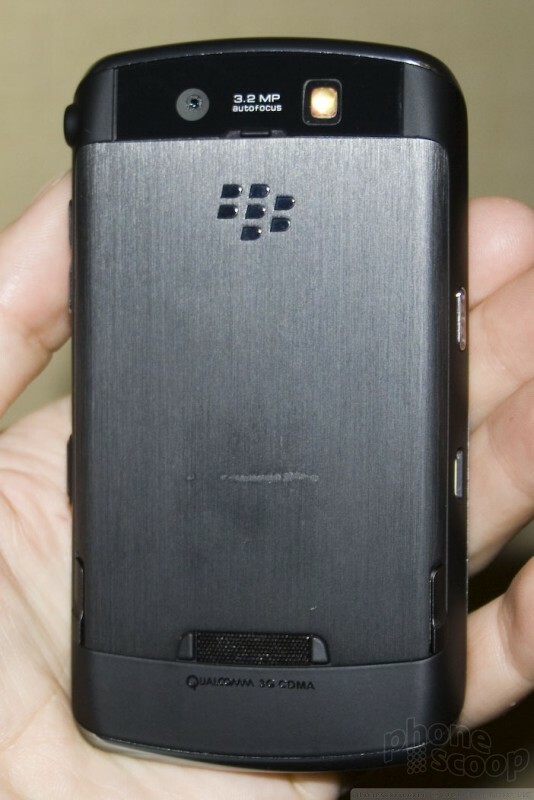 Also on the back, you'll find a 3 megapixel auto-focus camera. Besides the unique touch screen, the other feature of the Storm that blew me away is the roaming capability. This is simply the most global and most 3G-savvy phone made to date. In the States, naturally it will work on Verizon's CDMA 850/1900 network. Not only is it EVDO, but the faster Rev. A flavor of EVDO, so you get the fastest data experience Verizon's network has to offer. It's when going abroad that the Storm breaks new ground, though. The Storm supports all major overseas GSM and 3G networks. It's quad-band GSM, which gives you full GSM roaming even in Latin America. It also has HSDPA 2100, so you get full 3G data speeds in Europe and Asia. Verizon has roaming agreements already in place that support those 3G networks, and Verizon does not charge extra for 3G roaming; it's the same rate as GSM/EDGE data. The Storm 9530 even works in Japan and South Korea. A SIM card comes with the Storm, so it's ready for all this global action right out of the box. Cat's latest rugged smartphones are the S41 and the S31. These two handsets are tough hombres that can handle plenty of punishment thanks to their mil-spec 810G and IP68 ratings. Huawei’s latest phones, the Mate 20 and Mate 20 Pro, are impressive metal-and-glass slabs that go toe-to-toe with the best from Apple, Google, LG, and Samsung. Those seeking non-carrier fare will find plenty to like about this powerful pair of intelligent devices.